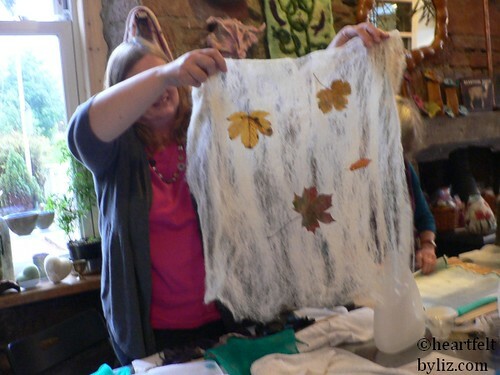 Great workshop today , fine felt and cobweb felting. Great work ladies . After last weeks work , you have excelled yourself.